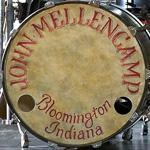 John Mellencamp Community > MELLENCAMP DISCUSSION > Introduce Yourself > Welcome and hello! Hi I am Sharon! 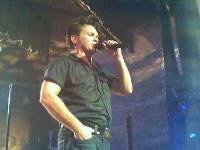 I am one of the administrators of Mellencamp.com some of you may know me from the CCB Message board! Welcome and I hope you like our new site! I am TonyB, John's long time webmaster/web manager. I am sure many of you have conversed with me over the years on our old message boards or by email. 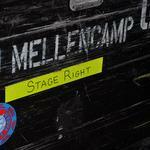 Send me an email at help@mellencamp.com with any questions/problems you have! 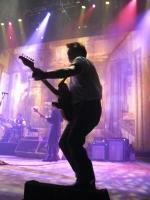 Have fun on here, 2010 is a great year to be a Mellencamp fan! Kim, aka wildviolet here. I've been scarce for a while with the changes at CCB. I enjoy John's music because his lyrics resonate with me. It's always been there for me in good times and bad. Phew! The change over from Club Cherry Bomb was easy! I'm Ruth. Been around JM's message boards for quite few years now and although I haven't met anyone else from the boards in person, I consider many of the other regulars as good freinds. I live in Australia and have been listening to JM's music since 1978. I love his music, I love seeing him in concert, and love the way he has grown as songwriter over the years. I love the look of the new site. I'm really glad to see the message boards transfer. It's an exciting time to be a Mellenhead! Hello to all the 'old' Mellenheads, and welcome to all the new! Hello, everyone! Very happy to see a new Mellenhead community forming. I've been following JM on the web for over 10 years, first on a yahoo list, then somewhat on the old Sony boards, and 5 years on CCB. Love the new look, with all the bells and whistles, and the fact we can still communicate via a forum. This sure is lot to decipher first thing in the morning. I'll be back after I've had some coffee. Hi everyone!! I'm soooo happy to be back! I'm Kyra, living in Central Indiana! Been loving John since I was about 10. I'm thankful that my parents loved him, too, so I was able to grow up with his music until I was able to buy it for myself! I love the new site and cannot wait for the tour announcement!!! Hope to see you all on the road!!! Could it be that this is all there is? Could it be there's nothing more at all? Patricia from Sacramento here, glad to have a new home and see old friends reconnecting! hope to find some new ones too! Rich - Try freshly made orange-carrot-ginger juice in the morning. That's the stuff! Hello everyone!! Gail here, from NJ but living in western PA. I've been a Mellenhead since the early 80's, joined CCB about 5 years ago. I've met some amazing Mellenheads through CCB, including JM. It'll be great reconnecting with the old Mellenheads, meeting some new and seeing more of Leigh's beautiful man pics!! Hello to all my old friends! Hopefully some new people will find their way here too! CCB was my home inside the internet for so many years that i hate to see it go, however this looks like it will be a good place too! Hi everyone, ThornGenX here, or some may think of it as "I'm baaaack." Nice to see a new forum. 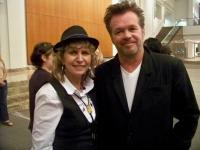 I have been to one Mellencamp concert a couple years ago in Berkeley, CA. It was lots of fun meeting some of you and of course hanging out with my friend Farfelp. Hey everyone! It's so funny cuz we all already know each other! I hope we have some new "faces" join our new discussion board. So, yep, it's Christine, aka jm_walktall. I've been a fan since I was 15 years old, from the moment I saw the Crumblin Down video for the first time, my life changed forever. I've been a "Crazy One" since 1991...been to too many shows to count, somewhere near 80. I have four JM tattoos: his autograph, a collection of song titles in the shape of a cross that John actually drew, a scarecrow, and the symbols from Life Death Love and Freedom. If I could sum up why I love John in 25 words or less? His music is a philosophy by which I live my life every day, and I wouldn't be who or where I am today without his music. And, he is the one thing in my life that has never let me down. With JM's music, and with the friends I've met over the years because of JM, I am never alone, and I have some of the best friends anyone could ever want and need. Welcome back to all of us! Susan here from Tennessee. Hi everyone...........hope to see a lot of u this year.....Mellenheads are the BEST!